After four seasons and 42 episodes on the air, Key and Peele has established itself as one of television's finest and funniest comedies. Keegan-Michael Key and Jordan Peele's signature brand of socially-conscious sketch comedy with an absurdist edge has not only influenced the pop culture lexicon and landed the duo a gig at the White House correspondents' dinner, but it has also nearly (some would argue, has) successfully filled the immense sketch comedy void left by Chappelle's Show, when that series came to an unceremonious end in 2006 after just three seasons. However, considering all it has accomplished, the master satirist duo now finds itself faced with the pressure of living up to expectations set by its own previous seasons. After hundreds of sketches, can Key and Peele still find fresh and increasingly funny ways to tackle topical and culturally relevant subjects? In last night's season 5 premiere, we found out that even the best comedic minds can hit a wall when trying to reach for great new ideas. By its nature, sketch comedy is often hit-or-miss. Some comedic concepts can carry an entire scene, while others can't really extend past a single punchline. Even though Key and Peele has tended to hit the mark more often not (take a look back at some of our favorite sketches), it's been known to misfire from time to time, and that's completely forgivable. Unfortunately, more than half of the sketches in season 5's opener uncharacteristically fell a bit flat, resulting in a somewhat disappointing entry for a comedy that's used to hitting home runs when swinging for big laughs. Although the premiere failed to hit the ball out of the park, it did find a solid hit with its opening sketch, which saw the return of some of our favorite ridiculously named football players from the classic East/West Bowl sketches. However, instead of focusing its view on the absurdity of the players' names, this time around the show took observational aim at the tendency of pro athletes to express their excitement very aggressively. Of course, in traditional Key and Peele absurdist style, getting hyped up for a game escalated to an unbelievable extreme, as two teammates found themselves in a hilarious action movie-styled showdown. 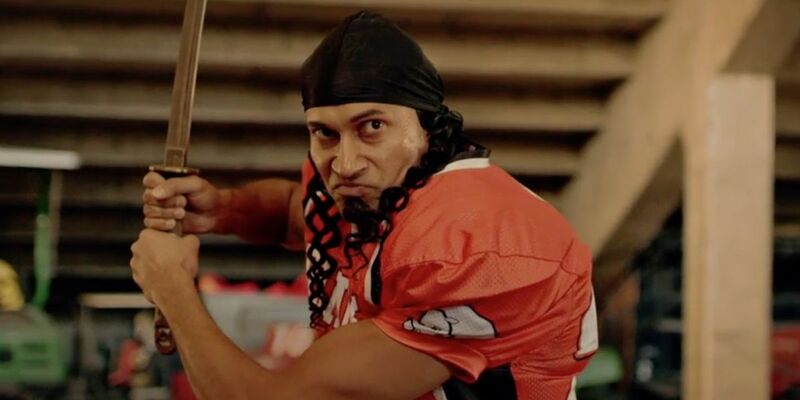 Key and Peele's obvious combined love for genre filmmaking and sports certainly added to the appeal of this sketch, which - while treading on familiar comedic territory - started the season off on a strong note. Unfortunately, that momentum stalled as the premiere dug into its second sketch, which also saw the return of signature characters - President Barack Obama (Peele) and his anger translator, Luther (Key). Like the previous sketch, this one attempted to bank on ideas that have worked before by revealing that Obama isn't the only one with an anger translator, as Luther and Hillary Clinton's (Kate Burton) angry sidekick, Savannah (Stephnie Weir), engaged in a war of words. While there were certainly some funny lines in their heated exchange, the comedy felt a little stale after back-to-back sketches with old characters, especially considering Key and Peele previously utilized a similar concept with a Michelle Obama translator. Then, things took a turn for the weird in the premiere's middle sketch. More bizarre than actually funny, the scene involved a pair of insane anti-terrorist airline passengers who terrify their poor unassuming seatmate with their strange facial hair and an over eagerness to take down a "terry." As an original idea with interesting looking characters, this was perhaps the most prominent sketch in the premiere's marketing, but ultimately, was the episode's biggest dud - even though the irony of sneaking weapons onto a plane to stop terror attacks was pretty well-conceived. The episode wrapped up with a slightly amusing sketch involving a band of pirates who unexpectedly sang about respecting women and a racially-charged commentary on the Ferguson shooting, with a white cop (Key in whiteface) blasting away at innocent black men with non-lethal objects in their hands - such as stuffed giraffes, cups of coffee, and bananas. 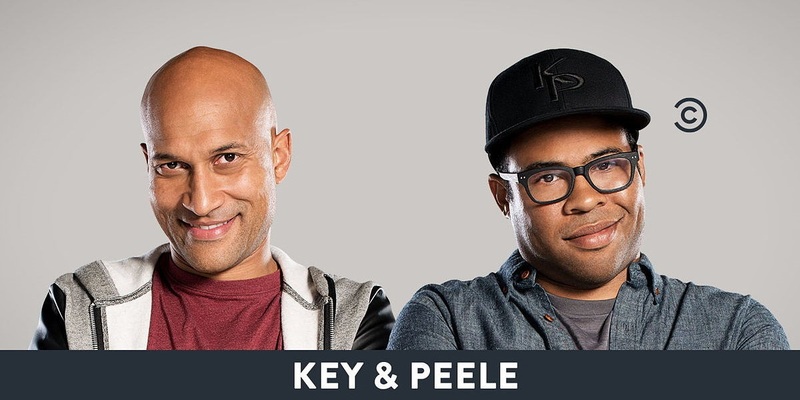 Although it will likely make some uncomfortable, the latter sketch was the more effective (and bolder) of the two and is exactly where Key and Peele excels, as it offers a light - if not-so subtle - touch on a heavy subject. 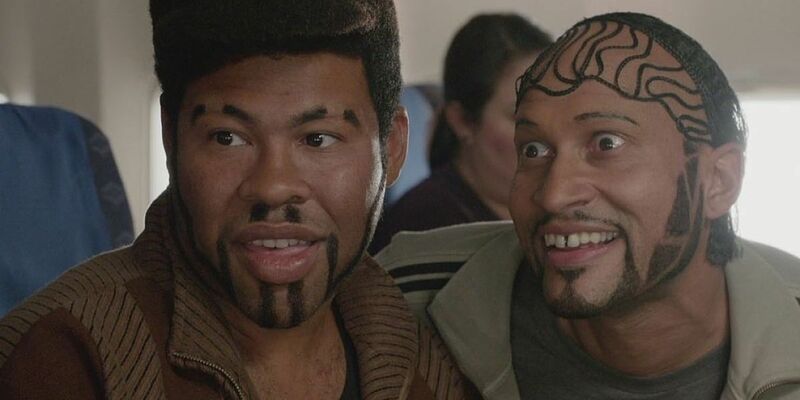 Bookended by humorous cinematically inspired scenes, Key and Peele's season 5 premiere was a mixed bag of fun, slightly tired, and truly strange material, but ultimately felt like a minor disappointment when measured against the duo's past work. Although the performances from Key and Peele are - as always - delightfully over-the-top, the comedic concepts they are working with felt weaker than they should, especially considering the time they had to develop new material between seasons. That said, portions of the premiere demonstrated that the series still has life and is willing to take risks, which gives us faith that the new season has some treats in store for sketch comedy fans. Key and Peele season 5 continues next Wednesday, July 15 @10pm on Comedy Central.